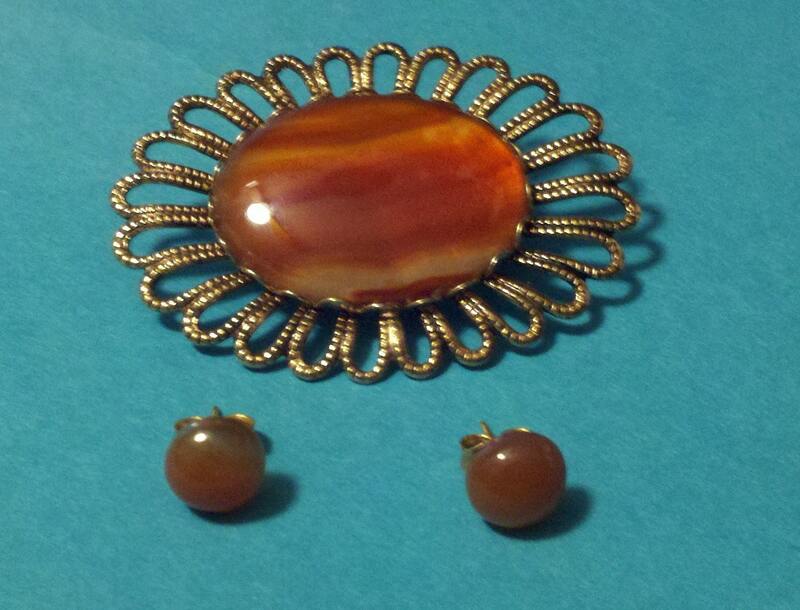 Banded agate orange brooch pin with matching pierced earrings. 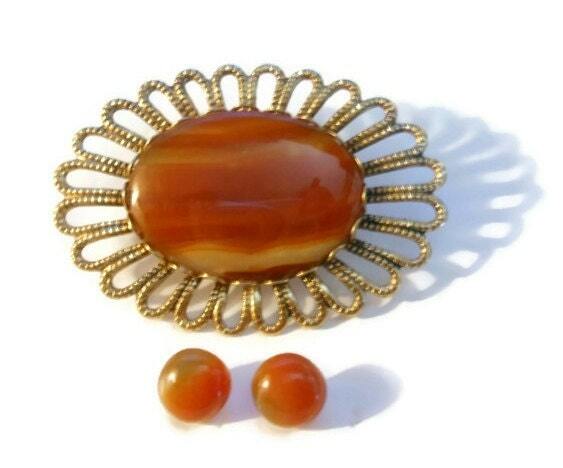 Banded agate orange brooch pin with matching pierced earrings. 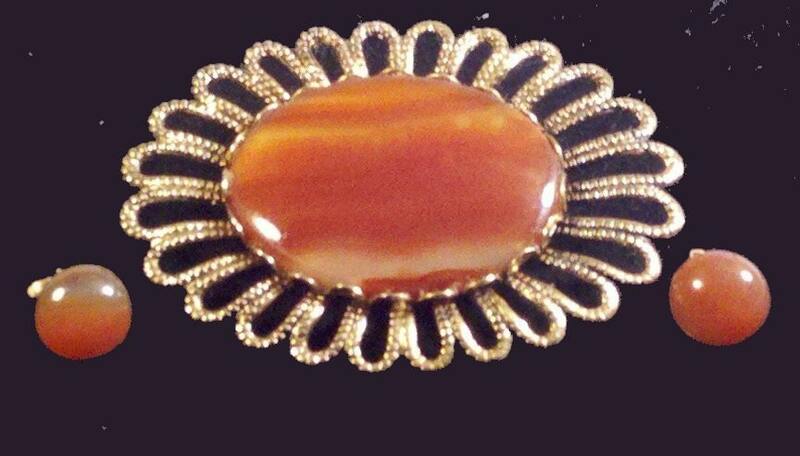 Make a fashion statement when you wear this spectacular piece. 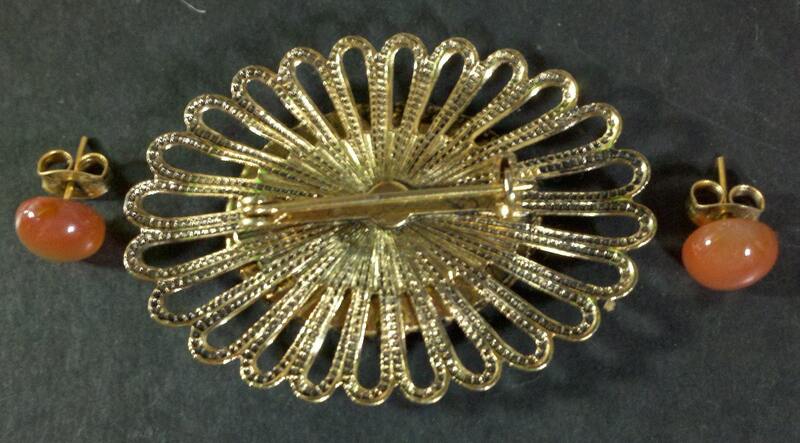 Gorgeous coloring offset by the gold tone setting. 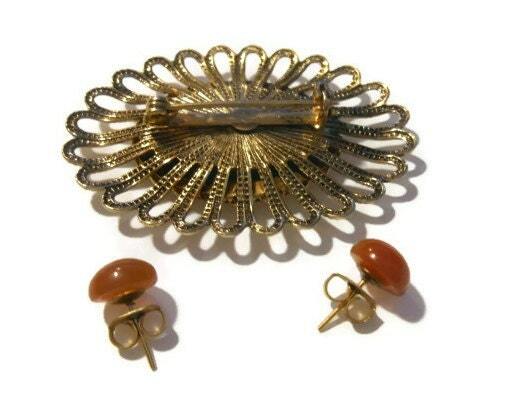 The brooch measures 2" x 1 1/2" (6.4 cm) and the earrings are 1/4" (.06 cm) in circumference. Both are in very good conditions.